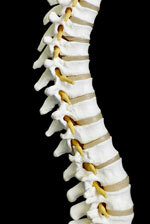 When a Subluxation occurs the spinal joints become stuck or restricted in motion. This in return causes nerve irritation therefore causing pain or paristhesia (numbness or tingling). Chiropractors will restore normal joint motion via an adjustment or manipulation. The muscles of the spine have a “learned response” which means that the spinal muscle now needs to be re-educated to allow the spinal joint to move freely, therefore not pinching or irritating the nerve that exits the spine. What is the popping/ cracking sound? Every joint of our body has a fibrous capsule that surrounds it; inside the capsule there is synovial fluid that nourishes the joint to keep it healthy. The fluid contains gases (CO2, NO2, O2). As a manipulation occurs, a negative pressure causes the gases to be released and a popping or cracking sound occurs.